Hey guys! Hope you all are doing just fine. I’m back here at TheAnimeScrolls with another brand new list about One Piece. Today’s list is all about Whole Cake Island, and the 10 characters who died during Whole Cake Island Arc. This arc was the second one of the Yonko Saga of One Piece. So, now without further delay let us begin. 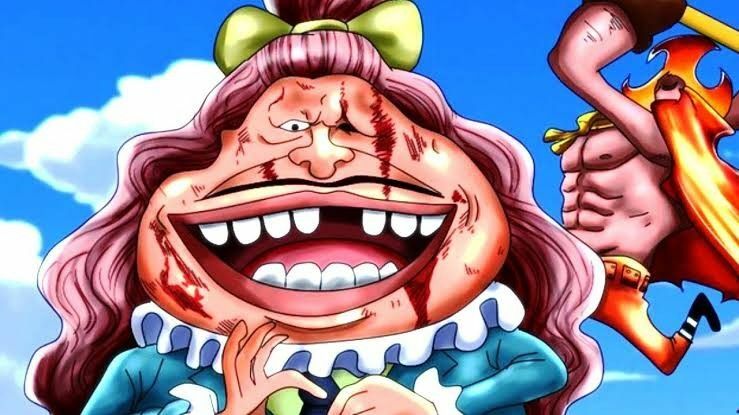 Pound is one of many ex-husbands of Charlotte Linlin or Big Mom. He was the the father of Lola and Chiffon and thus father in law of Capone Bege. Pound had considerable durability as he was able to withstand even the beating from Oven and took a head shot from Randolph without much pain. He was killed by his step-son. King Baum was the master of the seducing woods. During the Whole Cake Island arc due to the possession of Big Mom’s vivre card, he was forced to act on whatever Nami told him to do. As he was the master of seducing woods he was able to control every being in the area. He even survived after his head was chopped off. He was killed by Prometheus while the strawhats escaped at the same time.